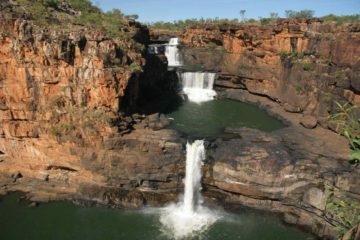 This itinerary covers our very first trip to Australia, which focused on two of the country’s largest states – the Northern Territory and Western Australia. I guess you could call this the stereotypical Outback Trip because we did indeed visit some of the country’s iconic backcountry sights from the red centre to the Top End to the deserts of the Pilbara, and more. Given the long driving distances, I was very glad to have found the Triple J Radio Station, which was essentially like what LA Alternative Station KROQ used to be in the late 80s and early 90s, except the Australian radio station doesn’t have commercials, it’s nationwide, and there’s no censoring. Plus, they had awesome shows like Dr Karl and the Hack Current Affairs show. Indeed, after this trip, there was no turning back to commercial radio, and I’ve been streaming the J’s at home. 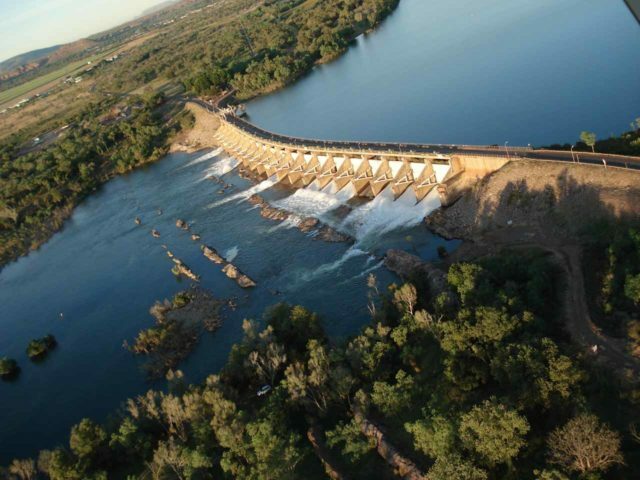 Anyways, this road trip spanned a period of three weeks, and it did involve quite a bit of flying since we were covering a lot of remote real estate. That said, we were pretty much on our own when we weren’t flying. And although this trip did have its mishaps, it contained so much diversity of sights and experiences that it’s going to be hard for our future trips to Oz to top this one! The Red Centre – Nothing symbolizes the Australian Outback more than the monoliths that dot the center of the country. In addition to the iconic Uluru (formerly Ayer’s Rock), there was also the Kata Tjuta (formerly the Olgas). 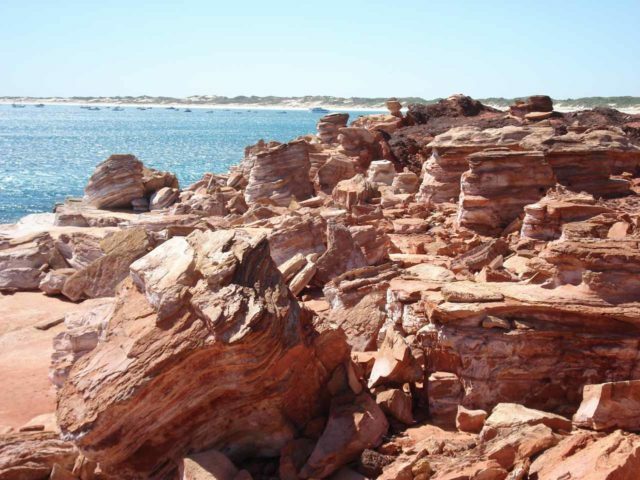 Such formations have Aboriginal significance and being close to them made us better appreciate how the original inhabitants had been inspired by them. 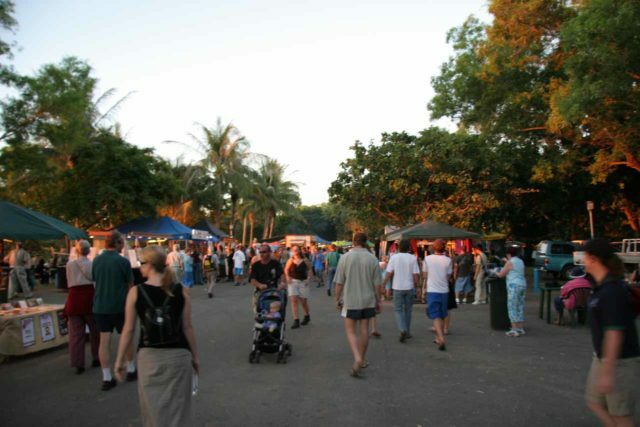 Mindil Beach Night Market – After a magical sunset from the beach, we soaked in the energy of this vibrant place as we strolled amongst the street vendors and busking acts. It felt as if Southeast Asia merged with Aboriginal and Australian culture, and we wound up with this unique mix that sights, smells, and sounds that really blew us away. In addition to trying things from the Roadkill Cafe (like croc meat or snake), we also watched and listened to funky rhythms and beats from bands mixing drums with didgeridoos. If we’re fortunate to return to Darwin, this is probably tops on the list for things to go back to and re-experience. 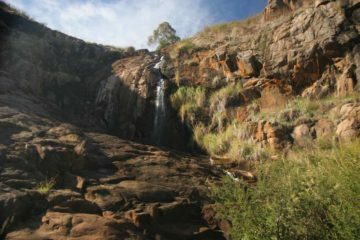 Tolmer Falls – This was one of the more impressive waterfalls in Litchfield National Park in the Northern Territory Top End. In addition to its tall drop, we did a trail that also featured a natural bridge as well as the chance to see bats. 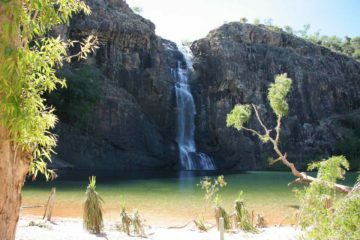 Florence Falls – Of the waterfalls we visited in the Top End, this could very well be the only one where we saw lots of people swimming in. 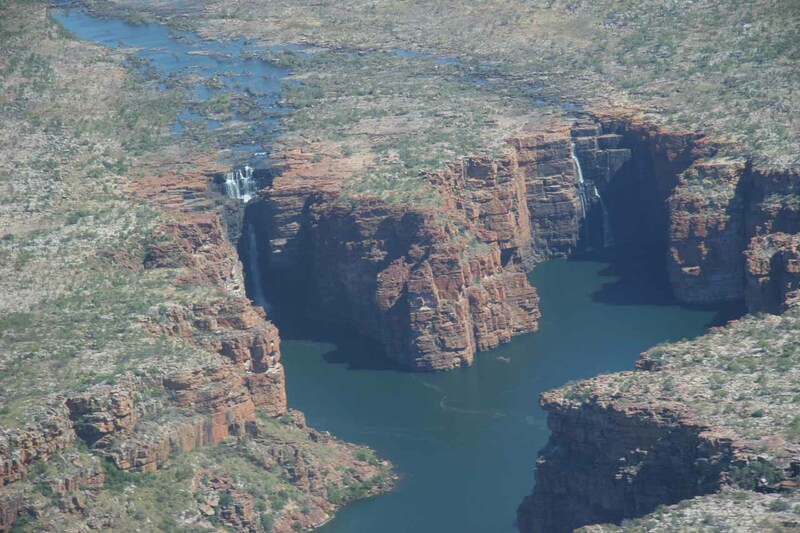 It could very well be that the saltwater crocodile danger was less pronounced here and so in addition to its impressive drops (visible from an overlook as well as from its base), it was one in which people can interact with and cool off from the humidity. 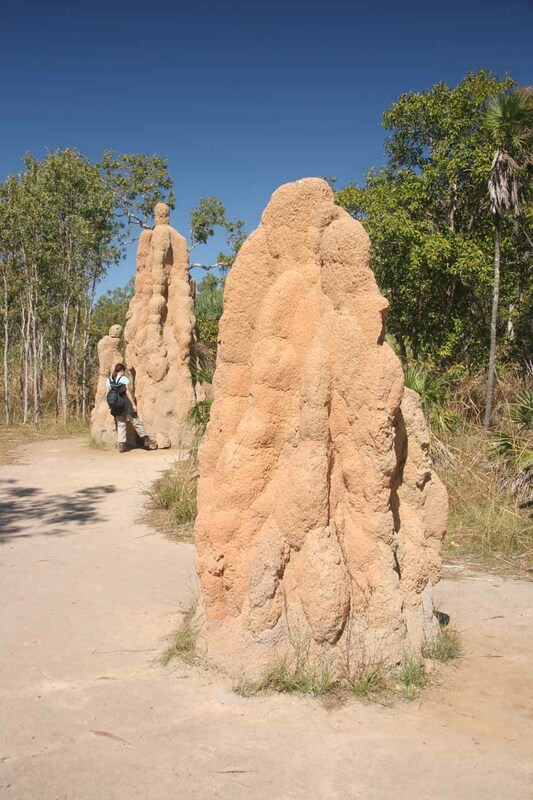 Termite Mounds – While termite mounds seem to be a dime-a-dozen, what made the ones in Litchfield National Park stand out were their size and their quantities. What was it about these termites that allowed them to build them so big? And there were that many more here than elsewhere? Indeed, the plot thickens. Nonetheless, standing next to termite mounds that stand two or three times taller than a person makes us marvel that something so tiny could create something so big! Wangi Falls – When Julie and I came here in the morning, we saw bats hanging from trees nearby. 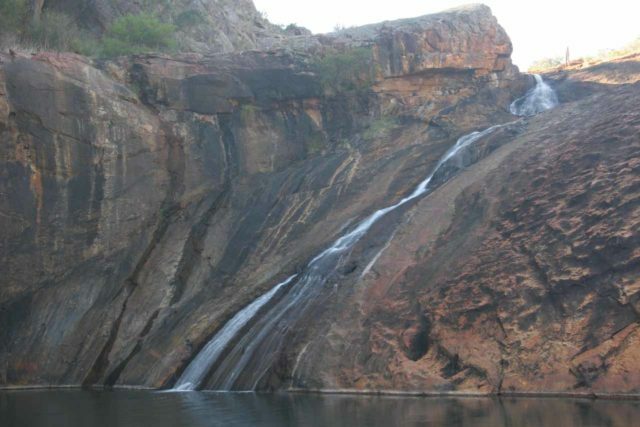 When we came in the afternoon, it felt like the falls were jumping out from the cliffs contrasting against its color as well as that of the blue skies. And even the sun was striking it at just the right angle to produce a rainbow. 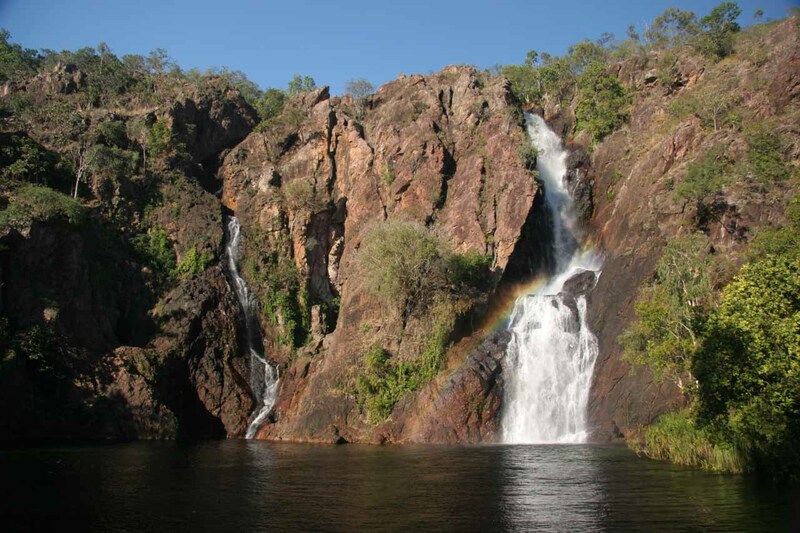 Indeed, this was certainly one of the waterfalling highlights of Litchfield National Park. 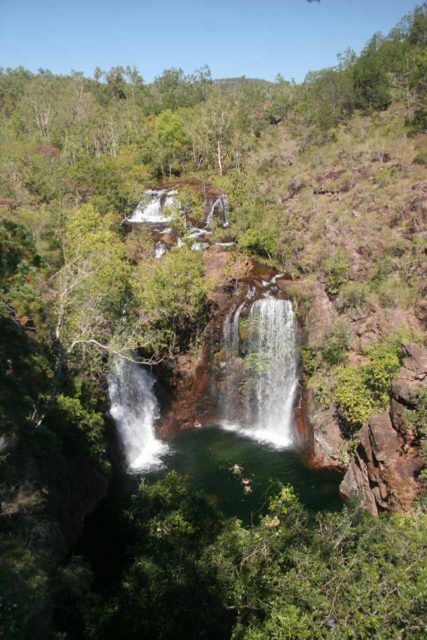 Gunlom Falls – This might be familiar to Crocodile Dundee viewers. 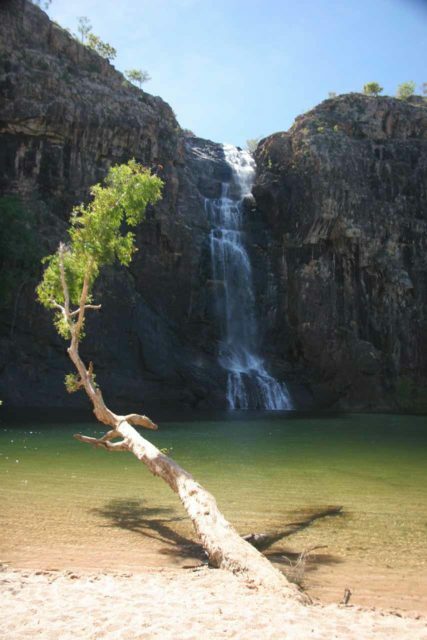 Nonetheless, it took a bit of an unsealed detour to reach this little oasis in Kakadu, and the due to its remoteness, Julie and I were one of only a few people here, which was amazing considering how scenic this spot was. Jim Jim Falls – Because of complications from Cyclone Monica that extended the effects of the Wet Season thereby keeping the saltwater crocodile danger high, we were unable to experience this falls from the ground. And so we took to the air to witness this majestic 200m waterfall. 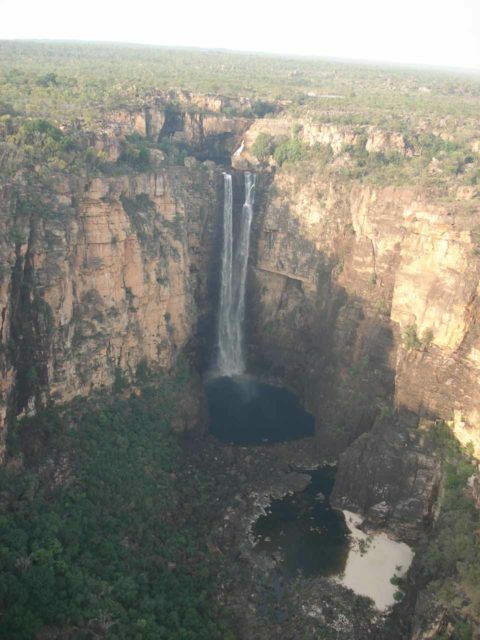 On the same chopper tour, we also saw Twin Falls and Double Falls from the air. 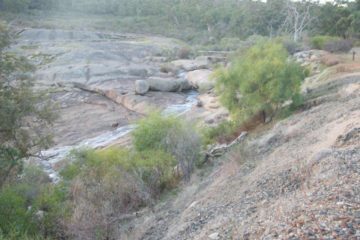 Yellow Water Cruise – For an upclose look at the top predator of Australia’s billabongs, this cruise indeed allowed us to spot at least a half-dozen of these awesome reptiles in their native habitat. 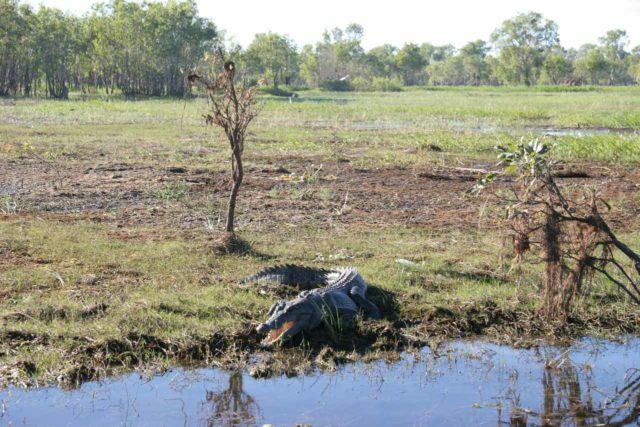 We also witnessed a lot of bird life as well as reflective mirror-lake swamps showing the beauty of this place even if it’s probably one of the most inhospitable places for humans given the presence of the saltwater crocs. 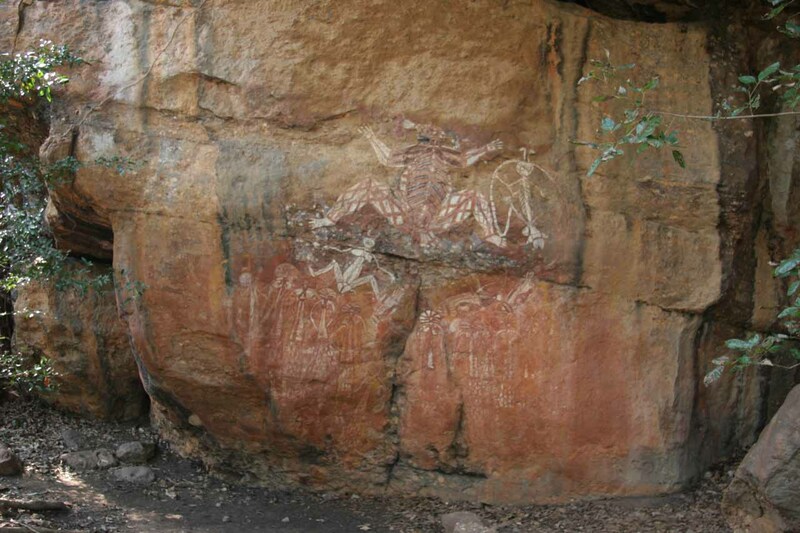 Aboriginal Rock Art at Nourlangie Rock and Ubirr – While these may just look like nothing more than random rock art, when you figure how old such art was, then you start to appreciate what a special place this was. And one can’t help but wonder what these ancestors were trying to communicate through their art. Indeed, it was haunting and yet it instantly made us wonder what life must have been like back then. Mitchell Falls – This was one of Australia’s most remote waterfalls as it sat deep in the Kimberley Region. 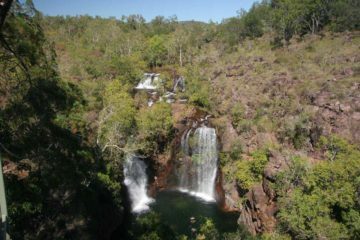 We actually had to take to the air in order to visit this waterfall without making it a long ordeal. 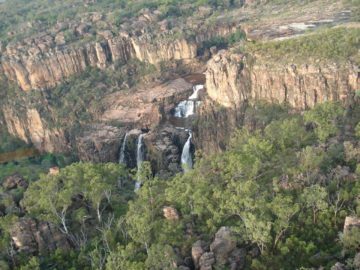 And in addition to this multi-tiered waterfall contrasted against red cliffs, we were also able to visit King George Falls while seeing other remote parts of the Kimberley including Aboriginal settlements and secluded beaches patrolled by saltwater crocodiles. 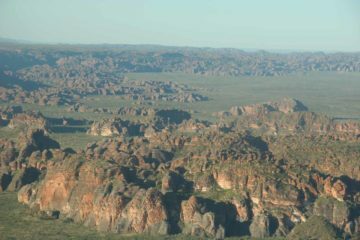 Bungle Bungles – This impressive cluster of striated cliff formations and mounds required an overflight in order to access from Kununurra, but Julie had a lovely time with this visual treat even if I couldn’t come along as a result of a botched booking. Cable Beach – This extensive stretch of jagged red rocks against the coastline near Broome was something we weren’t used to seeing when it came to beaches and coastlines. 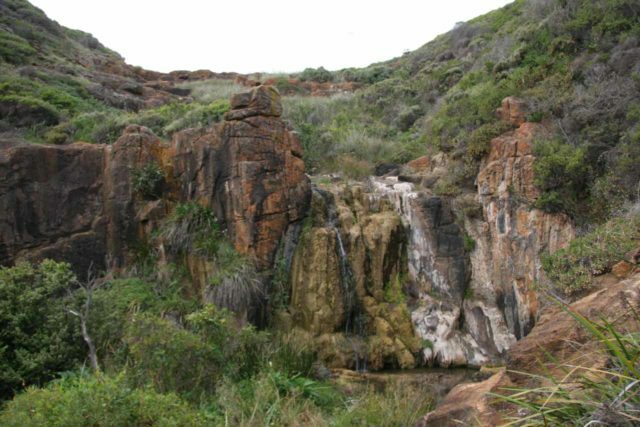 And contrasting such colorful rocks against the unpolluted blue-green waters here really made the sight surreal. 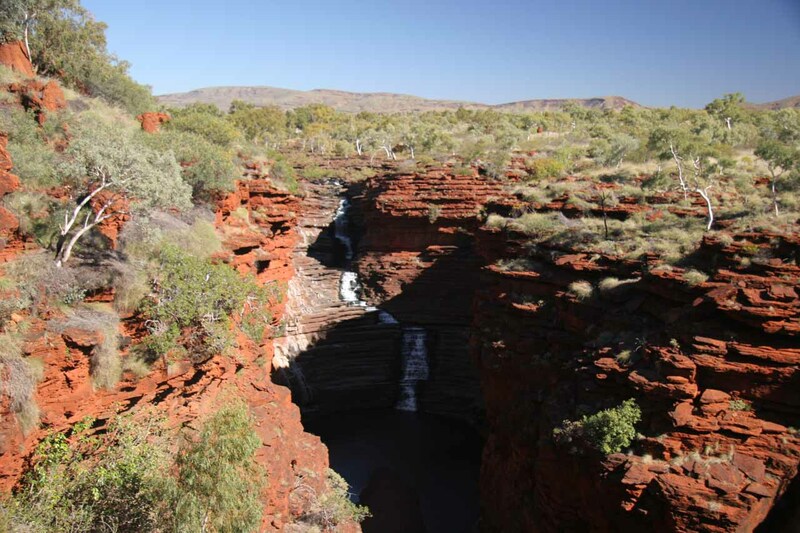 As much as we wanted to linger here a little longer, we knew we had a long drive ahead of us to Port Hedland. And so we left with the memory of knowing incredible places like this exist, and that’s reassuring. 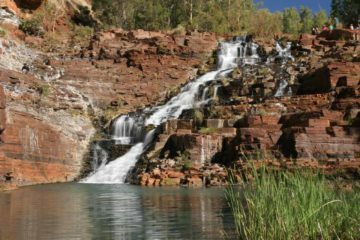 Fortescue Falls – This was probably the top waterfall in the remote Karijini National Park in the Pilbara Desert, and indeed this cascading waterfall constrasting its churned whitewater against the deep red rocks around it definitely made this a standout attraction. 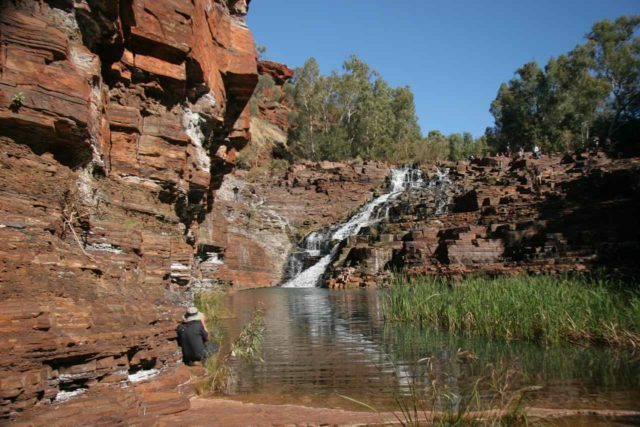 Plus, the green-blue water further made this oasis not just a sight to behold but also a miracle. 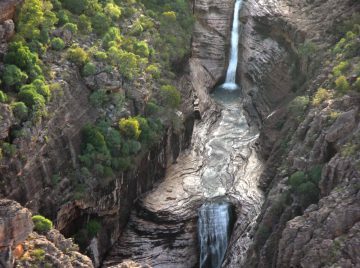 Joffre Falls – This was another waterfalling highlight of the Karijini National Park though this was a bit less accessible. 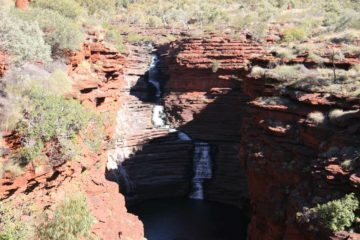 Instead, it was the eye candy of the deep gorge flanked by deep red cliffs that really made this impressive waterfall stand out. 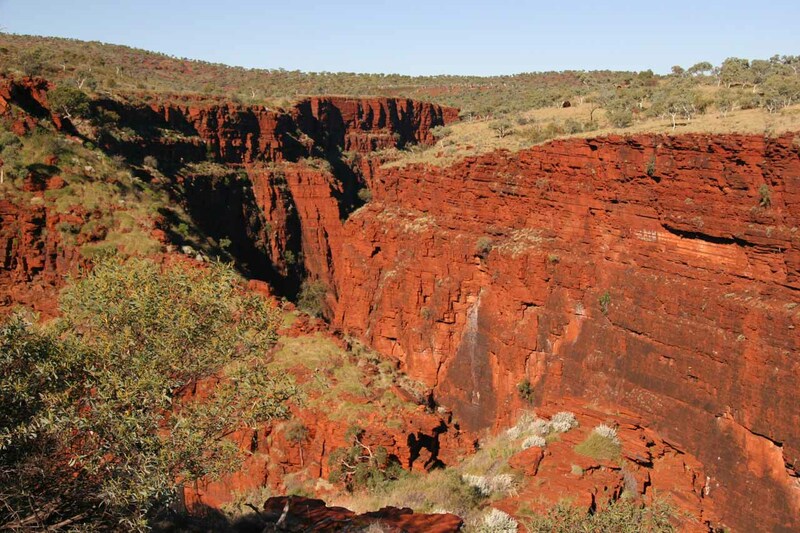 Oxer Gorge – This was one of the more dramatic places to see the red cliffs dropping almost vertically into a deep chasm below. 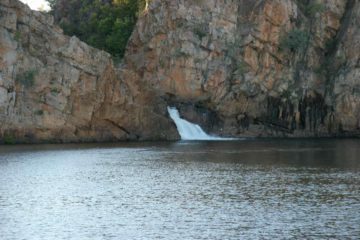 It seemed as if only birds could get into the depths of the gorge, which probably speaks to how inaccessible it was. 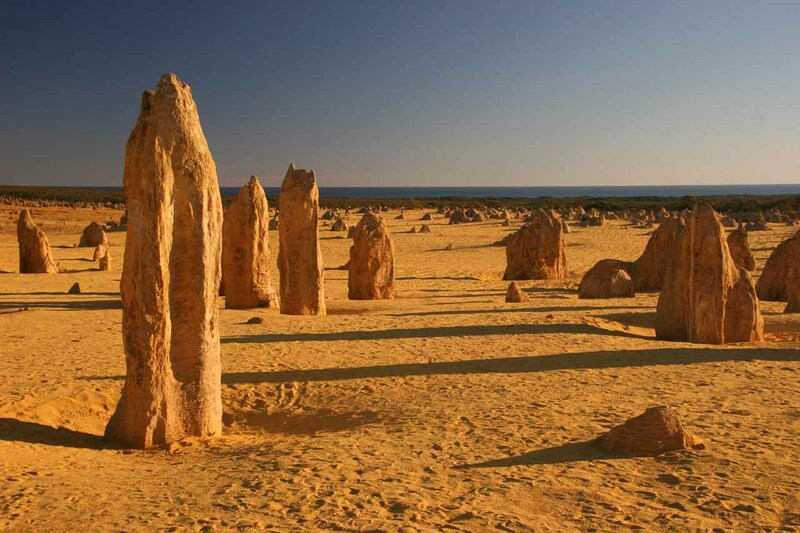 And witnessing such rugged beauty in some of Australia’s most rugged and remote places really makes us marvel at how such places can exist and surprise us when you don’t expect to find anything. Coral Bay – Way in the northwest of Australia, this stretch of calm sandy beaches with nearly pristine water thriving with sea life (almost like a second coming of the Great Barrier Reef) dazzled us with snorkeling opportunities, ripples in the sand, and just a real chillaxed vibe that we still remember fondly to this day. There was even the chance to swim with giant Whale Sharks though we weren’t able to do that on our trip. Still, we felt like places like this were all so rare and would be typically inundated with tourists, but it never felt crowded nor crushed here, and we hope it stays that way. Quobba Blowhole – This was one of the most impressive blowholes I’ve seen as the churning Indian Ocean produced geyser like jets of water shooting well over 100ft in the air! We really had to be cognizant of rogue waves here given how huge the swells were, plus the cliffs here didn’t have railings. 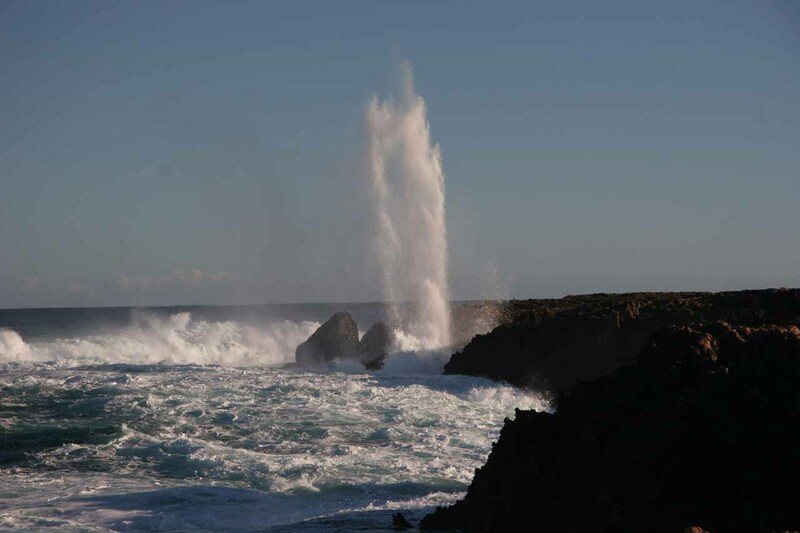 So that thrill of watching the blowhole go off along with the danger of Nature’s power all served to make this quite the exhilarating experience. 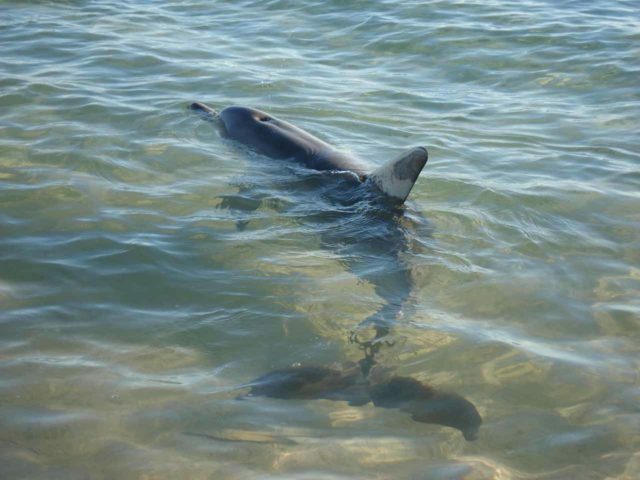 Monkey Mia – No doubt about it, the main draw of this place was the dolphins, which they feed every morning at a specific time. Whether you agree with this practice or not, there’s no denying the thrill of being this close to such wild and playful denizens of the oceans. Oh yeah, the beach here was also very chill and beautiful, and we really savoured our limited time here. 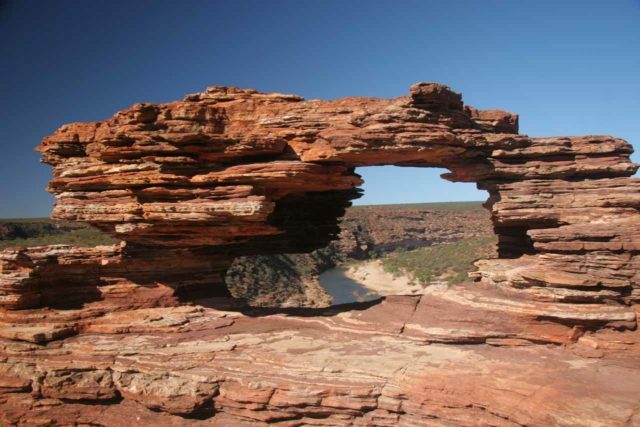 Kalbarri National Park – This part of Australia’s Coral Coast featured natural arches, a river system, rugged coastlines, beaches, and possible wildlife sightings. It felt remote and relatively secluded here, and that made the experience all the better even though places like this natural arch were actually quite easy to access. The Pinnacles – Further south on the west coast of Australia were these eccentric spires that literally covered a long stretch of beach near Cervantes. 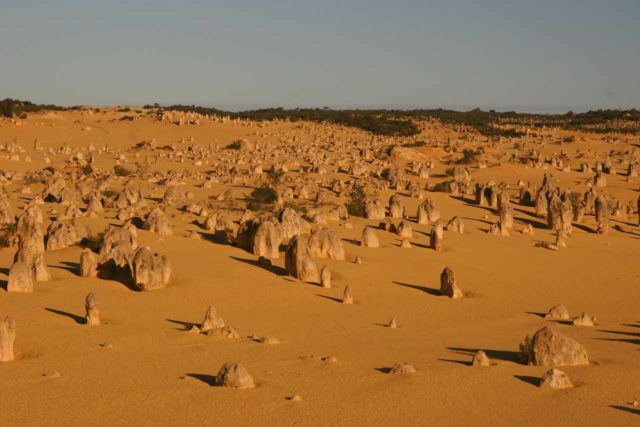 While we remember the nearby town most for having crayfish, these pinnacles were a wonderful place to enjoy a sunset as we watched the sands and the spires change colors from golden to orangish to reddish as the skies were also changing color from blue to purple twilight. 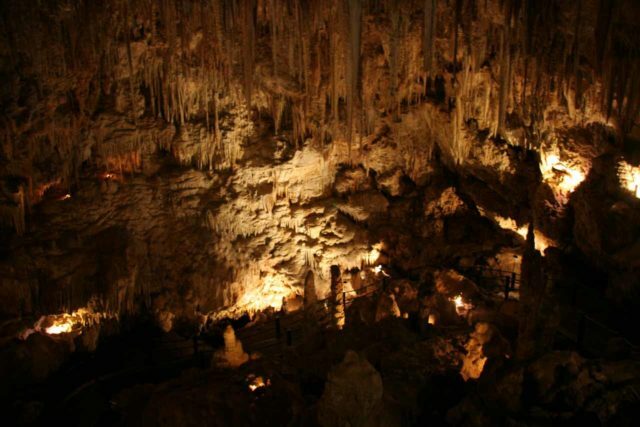 Ngilgi Cave – This was one of many caves in the Margaret River area of WA, but we happened to choose one of the larger ones with its jagged stalactites and stalagmites really making it seem like we were inside the mouth of some giant earth monster. Regardless, it was definitely a nice cave to check out to contrast a lot of the above-the-ground scenery we were experiencing to this point. Quinninup Falls and the Cape-to-Cape Track – The waterfall was actually our excuse to check out the awesome coastal scenery of southwestern WA. 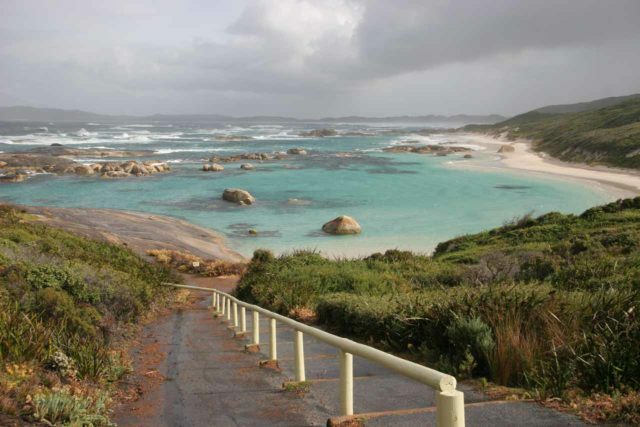 And even with an incoming storm threatening to dump its load on us with dark clouds just offshore, that just added more mood to gorgeous scenery where it seemed like a whole different world to the wineries and eateries just a short distance inland that was part of the Margaret River Wine Country. 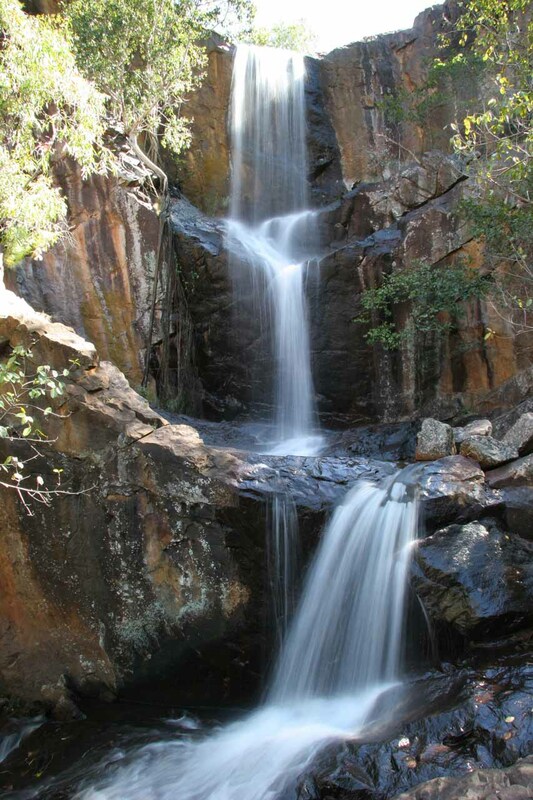 The Boorara Tree and Lane-Poole Falls – We actually weren’t expecting to see giant trees on this waterfalling excursion, but when we saw it by the trailhead, we just had to check it out. And indeed, it was neck-crankingly tall – so much so that we needed to step back quite a ways to see it in its entirety. Of course, the hike down to the waterfall also brought us closer to more trees of this type, which further added to the atmosphere of the overall hike. 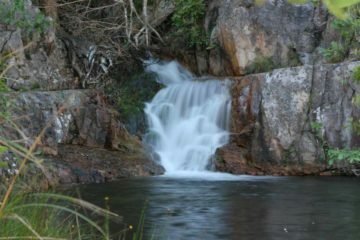 And oh yeah, the waterfall wasn’t bad either. 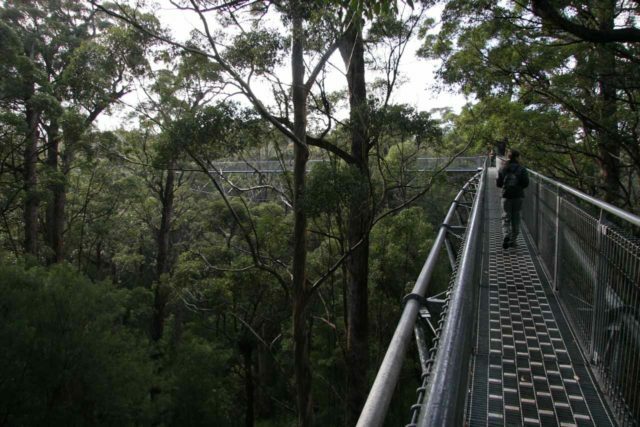 Tree Top Walk near Walpole – This was the very first such walk that Julie and I did, and it was quite a treat to be walking amongst the tops of such giant trees. 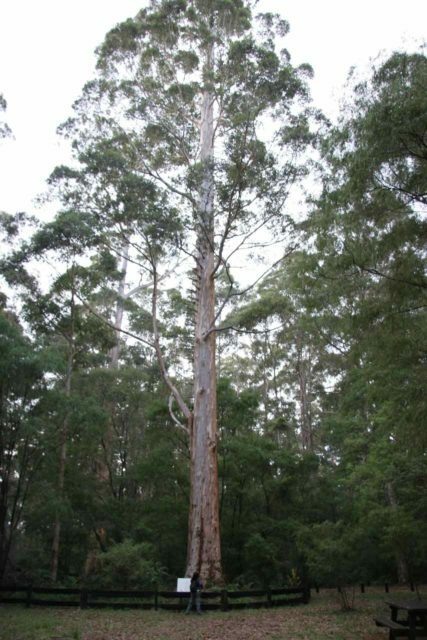 When we were done with the elevated catwalk portion, we then did a trail that meandered amongst the so-called “Ancient Empire” of giant gum trees. It was definitely worth the stop as we were driving between Pemberton and Albany. Greens Pool near Denmark – Even though it was too cold and rainy to be taking a dip in this colorful pool, we saw briefly saw its brilliance when the sun came out and brought out its namesake colors. We can only imagine just how magical this place would be when it’s more conducive to swimming and sun bathing. 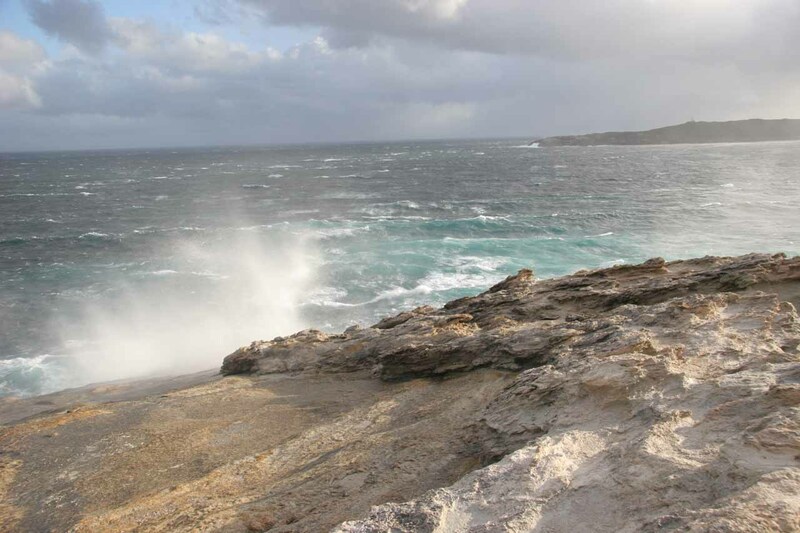 Torndirrup National Park – Julie and I think of this reserve more for the churning Southern Ocean mixed with some turbulent weather. All that mixes together to form impressive natural arches, steep coastlines, and even hissing blowholes. 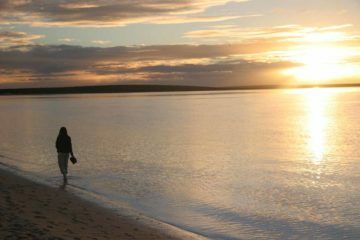 It was simply yet another feature of the Albany area that we remember fondly, and we keep wishing to make a return visit to experience this magical part of WA once again. 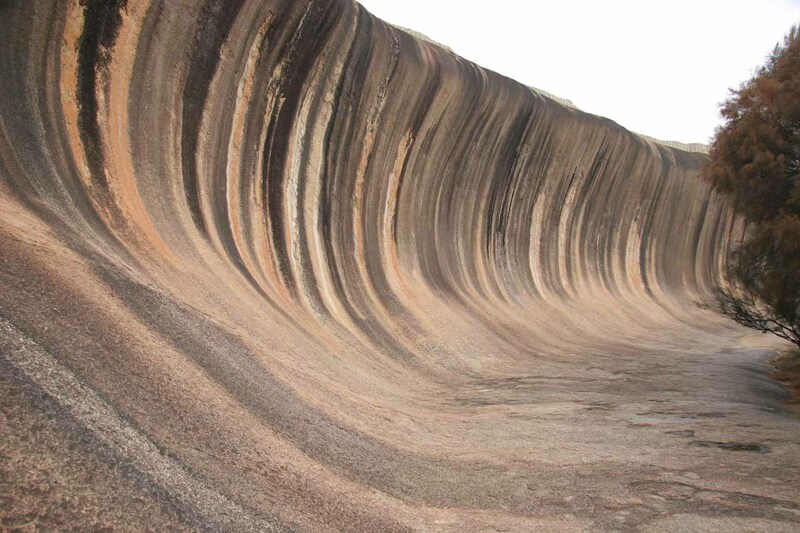 Wave Rock – We made quite a detour to reach this eccentric formation near Hyden, but this rock really does have an uncanny wave-like shape. Heck, someone even left an ironing board to act as a surf board for those cheezy photos of a pseudo-rider and the Wave Rock. Either way, we were glad we made the detour, which was the last bit of the Outback of our trip before returning to Perth to end the trip. 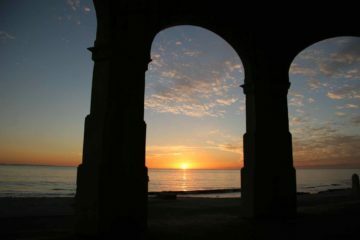 Perth and Cottesloe Beach – This city by the Swan River also had gorgeous beaches at Cottesloe. In fact, as you can see in this picture, it was where we saw our last sunset of the trip, and I couldn’t think of a better place to see it. Then, we lived it up a bit for our final night checking out the skyline and just savoring every last bit of our time here before we had to go home. 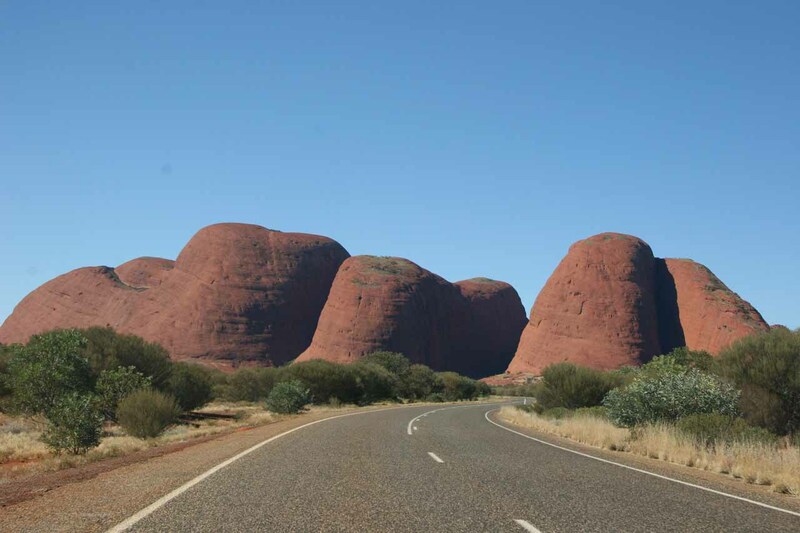 Respect the Distances: This may seem obvious, but I’m not kidding when I say that driving across the Outback can easily entail driving upwards of 4 hours or more in one go. We’ve had some cases where we went almost 7 straight hours! So road fatigue can definitely be an issue, and that’s where the strategically-placed road houses and petrol stations can be a big help. Also, if you can, take turns driving. Dusk until Dawn Driving is Dangerous: It turns out that most of the wildlife are out in the dark. This includes kangaroos, emus, you name it! 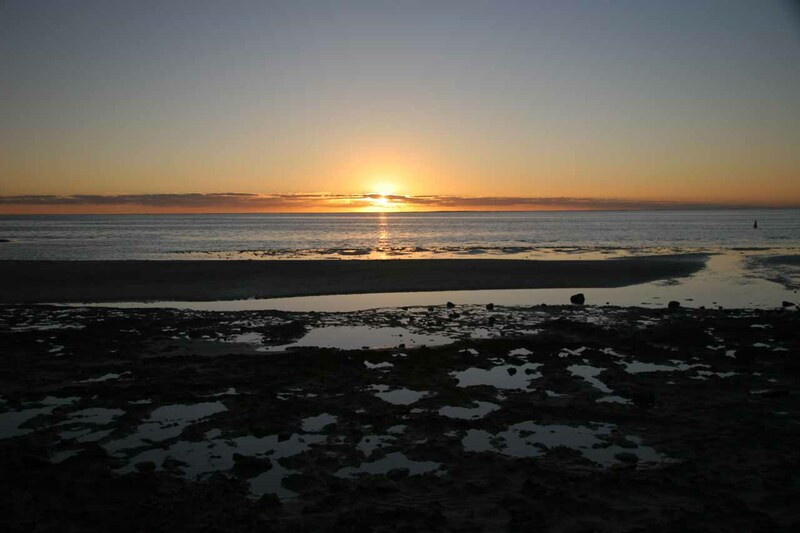 In fact, when I hit the kangaroo between Cervantes and Perth, it happened just before sunrise. 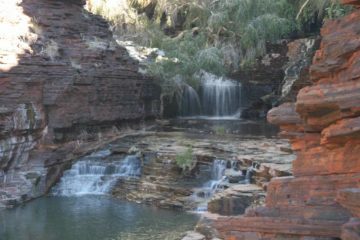 And this was after a few close calls driving long distances in the outback. So if you really do have to drive in the dark, you may have to give yourself reaction time by not targeting the speed limit (if there is one). Instead, it might be wise to back off from it, or let someone driving a truck with a roo bar be in front of you so you don’t have to be the one with an instant foot-on-the-brake reaction. Nevertheless, bottom line is to try to avoid driving in the dark if you can. I learned this the hard way. Besides, when you’re out there and see the amount of dead kangaroos on the road (and the huge wedge-tailed eagles feeding on them and getting even bigger), the evidence keeps mounting that this is a real danger not only to you but your passengers as well as the wildlife! This was basically a travel day where we took a red-eye flight over the international date line (losing a day in the process) and then arriving in Sydney. Next, we caught a regional flight to the Red Centre, where we then picked up a rental car and drove to our accommodation. 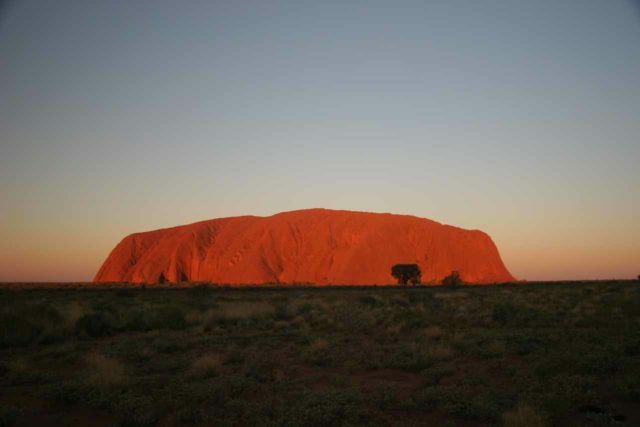 Finally, we spent the better part of the afternoon visiting Kata Tjuta (Olgas) and Uluru (Ayers Rock). 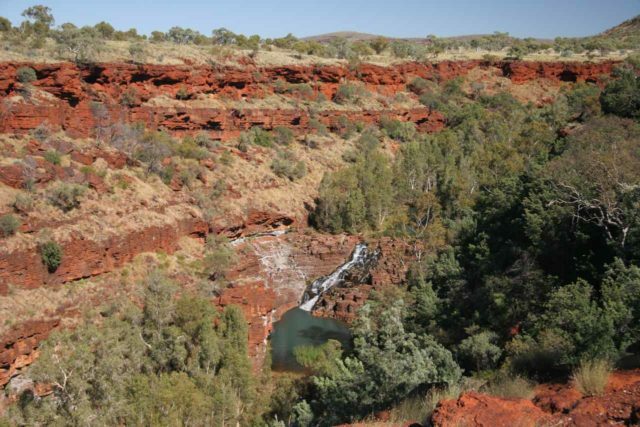 After returning to the airport to return the rental car, we then flew to Darwin with a connection in Alice Springs. 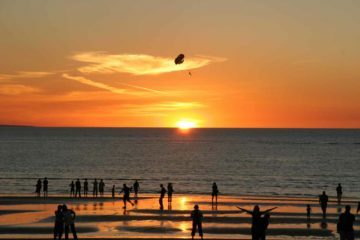 Once in Darwin, we picked up a 4wd rental then briefly checked out the city before driving to the Mindil Beach Night Market. When it got late, then we drove south to Batchelor in the dark to settle for the night. This was pretty much an all Litchfield day. We started by driving all the way out to Wangi Falls, then we hiked to Tjaetaba Falls. 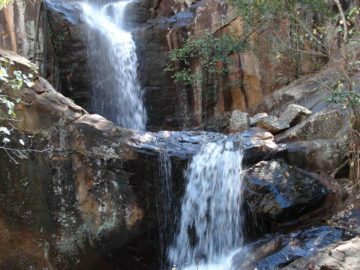 Next, we visited Tolmer Falls before visiting Florence Falls. 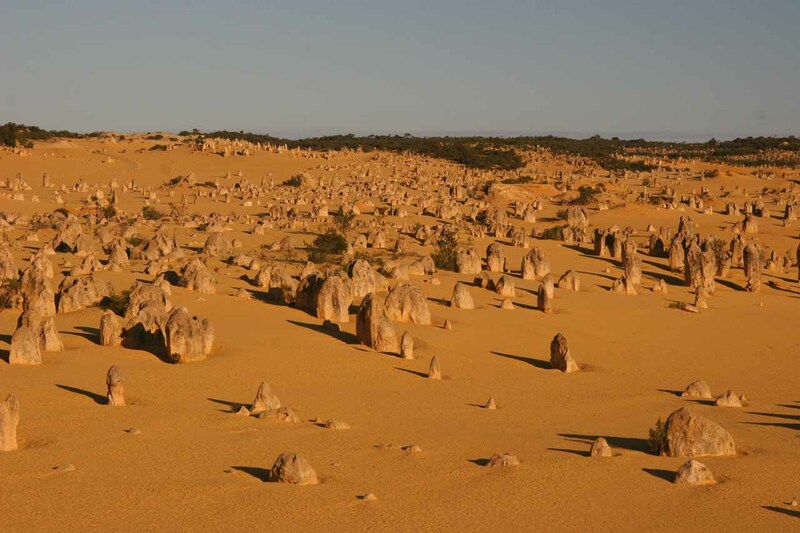 We then visited the Termite Mounds before briefly leaving Litchfield for Adelaide River to visit Robin Falls. At the end of the day, we re-visited Wangi Falls and Tolmer Falls before calling it a day. We began the day driving south to Edith Falls. 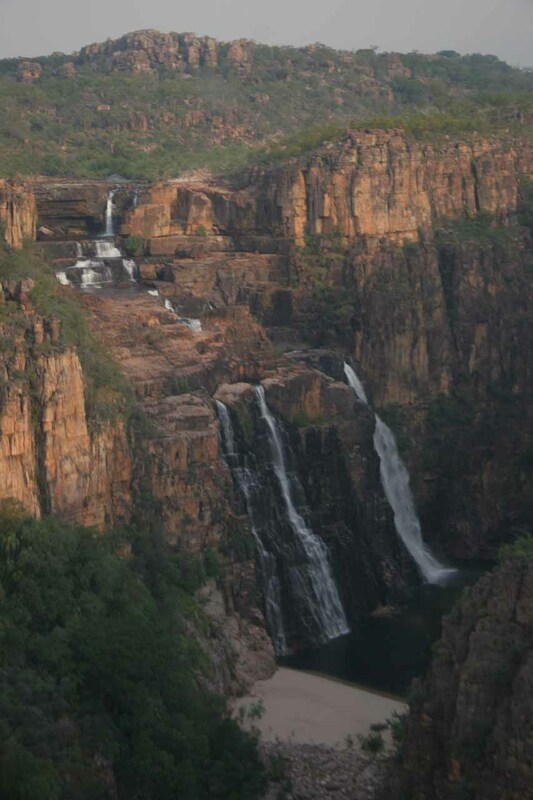 Then, we headed into Kakadu National Park where we then made a long unsealed detour to Gunlom Falls. 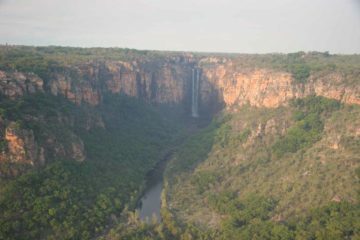 Late in the afternoon, we caught a pre-booked helicopter tour from Jabiru (knowing that the 4wd roads to were closed to both Jim Jim Falls and Twin Falls so we took to the air). We also saw Double Falls in the Death Adder Valley. Eventually, we settled in at Cooinda. This was a day where we started off with an early pre-dawn Yellow Water Cruise to see saltwater crocodiles up close in the wild, then we drove to Ubirr and Nourlangie Rock to see important Aboriginal pictographs. 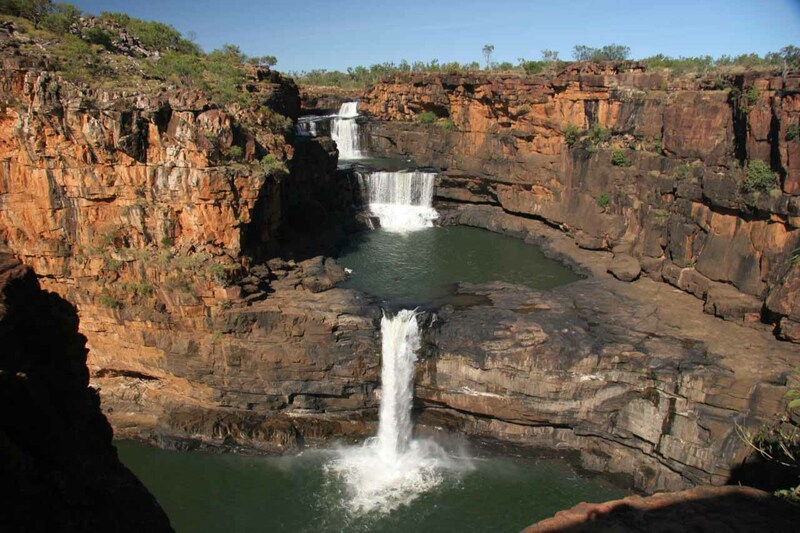 We first started off the day by making the long drive back to Darwin through Arnhem Land. Then, we returned the rental 4wd, flew to Kununurra, then we were transported to our accommodation. We spent the rest of the day expecting to do a Bungle Bungles tour but wound up mistakenly on some kind of local helicopter tour that didn’t even go there. This day was dominated by a flight and hike tour where we took a local flight to an airstrip on the Mitchell Plateau. Then, we caught a chopper that landed near Mitchell Falls, where we did the remaining hike to the overlook. Next, we choppered back to the airstrip, then flew across the Kimberley to see King George Falls. Finally, when we were done with the tour, Julie went on her own to check out the Bungle Bungles from the air. First, we flew to Broome. Then, we picked up a rental car for a long-term one-way car hire. 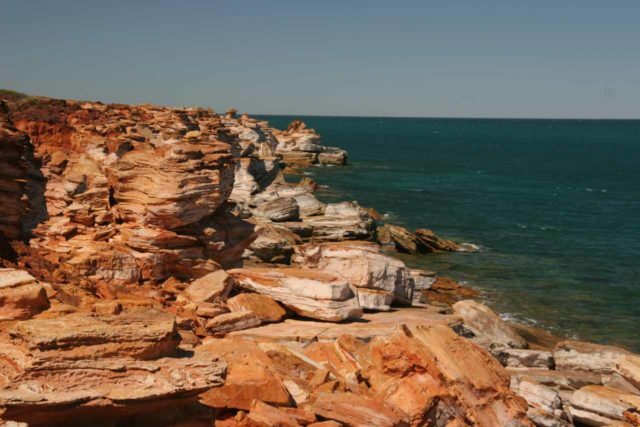 After visiting Cable Beach and having a lunch in town, we then made the long drive to Port Hedland. This was another long driving day, where we got an early pre-dawn start so we could maximize our time at Karijini National Park. 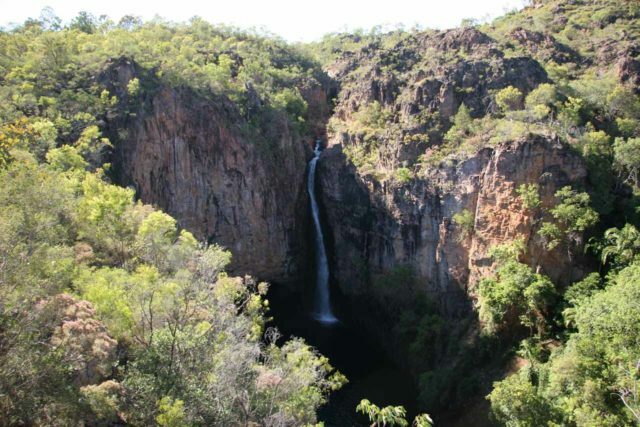 Among the sights we saw were Fortescue Falls, Kalamina Falls, Joffre Falls, and the Oxer Lookout. 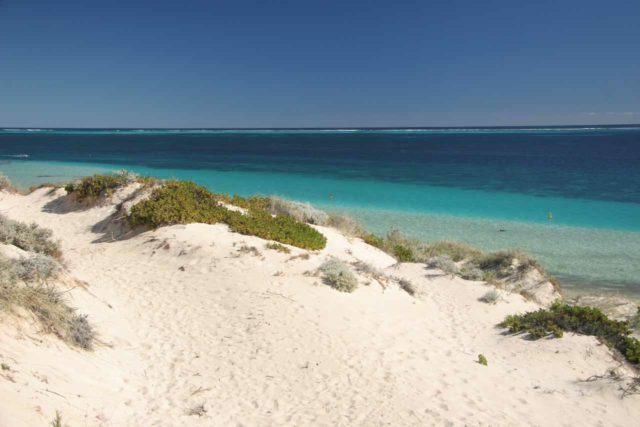 This was a very long driving day where we got an early start and made it to Coral Bay in time to at least have an afternoon to check out the Ningaloo Reef with snorkeling and a glass-bottom boat tour. 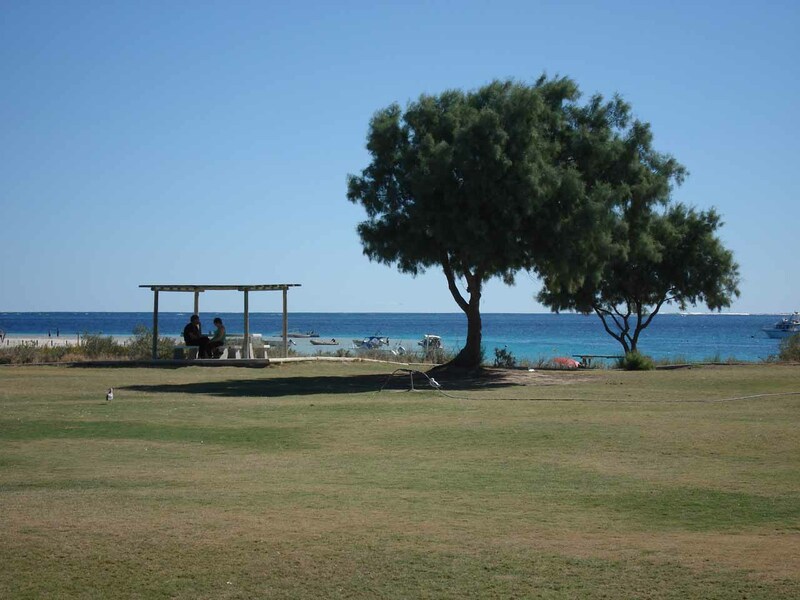 We also enjoyed the Coral Bay beach. This was pretty much a do nothing day to take a break from all the driving. We basically just enjoyed a relaxing day at the beach and some good food (possibly the best burger we’ve ever had was from here). 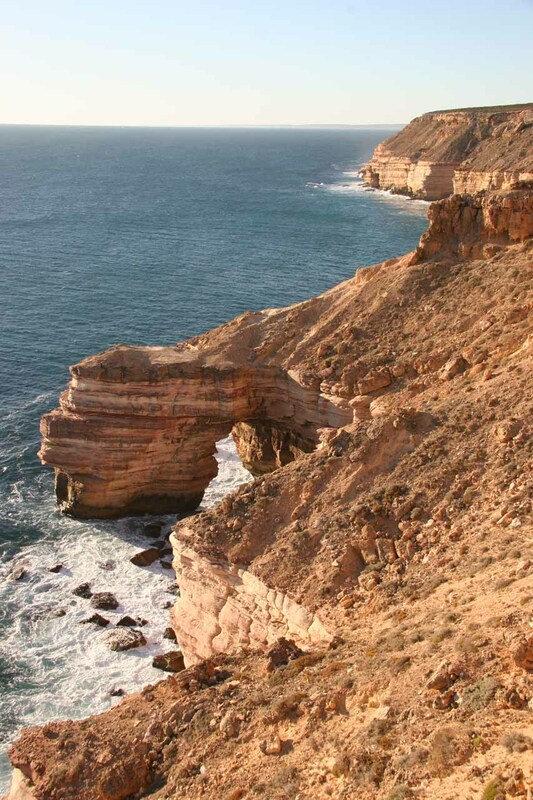 We started the day by driving towards Carnarvon, then making a detour to check out the impressive Quobba Blowhole. Afterwards, we continued the drive to Monkey Mia, where we enjoyed the beach until sunset. We started the morning with watching the dolphin feeding at Monkey Mia. Then, we drove south to Kalbarri National Park to check out the Nature’s Window, Natural Bridge, and Island Rock Viewpoint. We settled in for the night at Kalbarri, where we had a crayfish dinner. 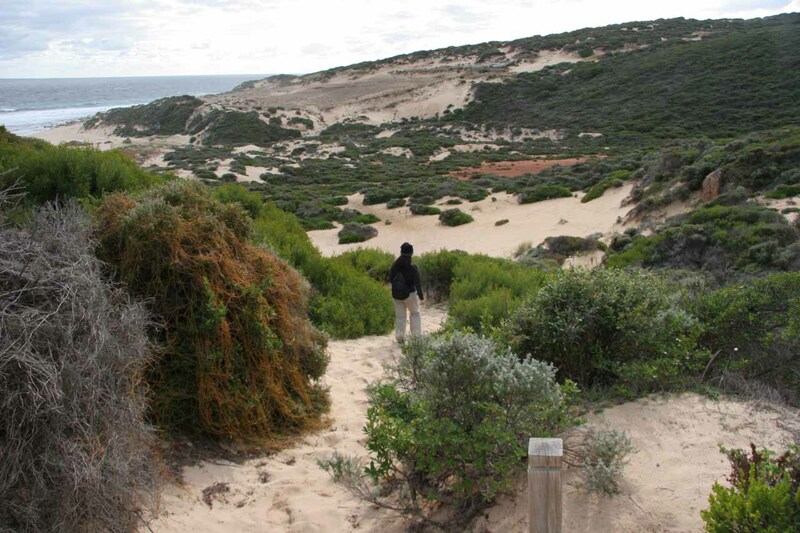 After leaving Kalbarri, we continued south to Cervantes. Then, after checking into our accommodation, we had some crayfish lunch before spending the rest of the afternoon at the Pinnacles. This was the day when I hit a kangaroo in the pre-dawn on the way to Perth. 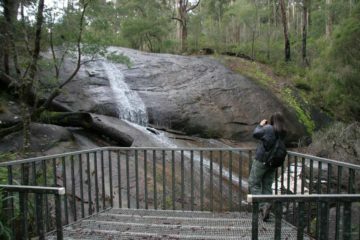 After that happened, we then drove to Jarrahdale to visit Serpentine Falls before returning to Perth to visit Lesmurdie Falls. Eventually, we went to the airport to exchange vehicles, and finally, we spent the rest of the evening walking around the Perth CBD. Once we left Perth, we continued driving south into the Margaret River Region. 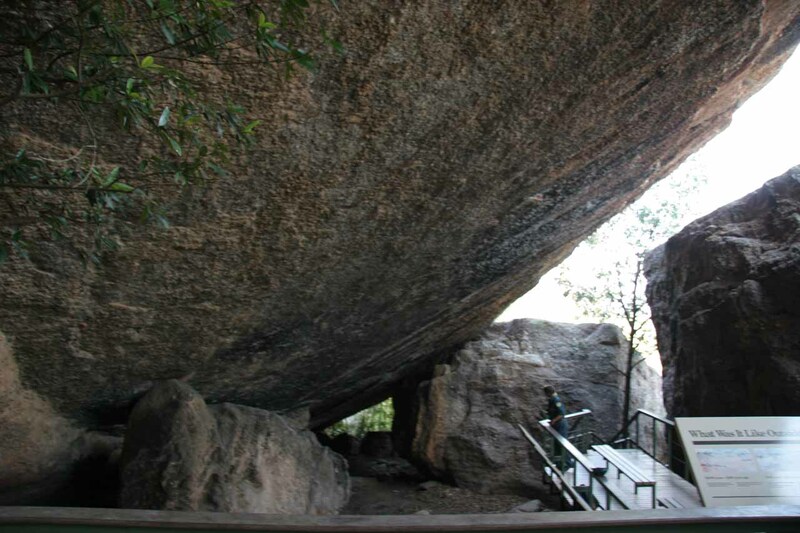 Along the way, we visited the Ngilgi Cave. Then, we went to one of the Cape-to-Cape Trail access points to hike to Quinninup Falls. Following that, we had a lunch in Margaret River before continuing on to Pemberton to end off the day. 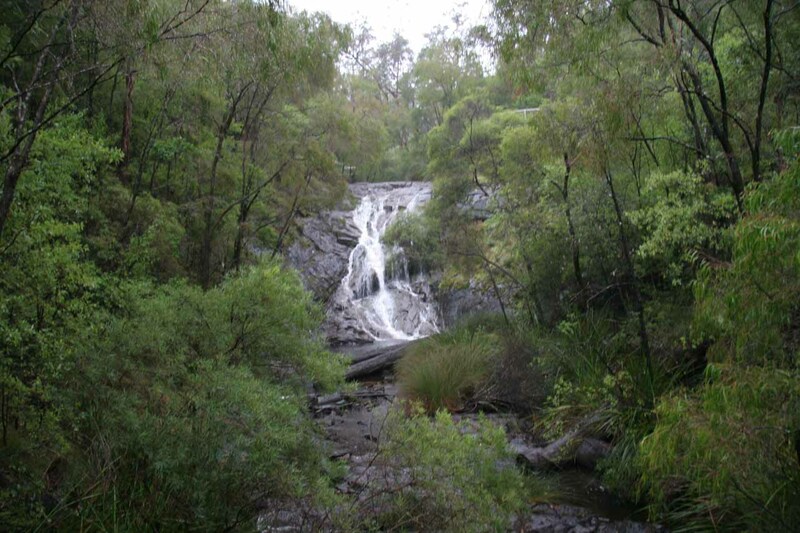 On this day, we started off by visiting the Lane-Poole Falls and Boorara Tree, then after a delicious lunch in Pemberton (while avoiding the rain), we then visited Beedelup Falls. This was a busy day of driving, where we visited the Fernhook Falls as well as the Tree Top Walk near Walpole, the Empire Walk, Greens Pool near Denmark, and the Elephant Rocks. 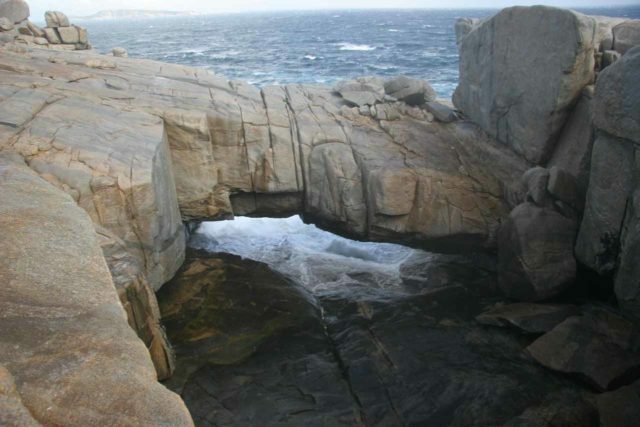 Once we got to Albany, we then drove to Torndirrup National Park to check out the arches and the blowholes as well as The Gap, then we returned to the Albany CBD for dinner and for a short stroll. 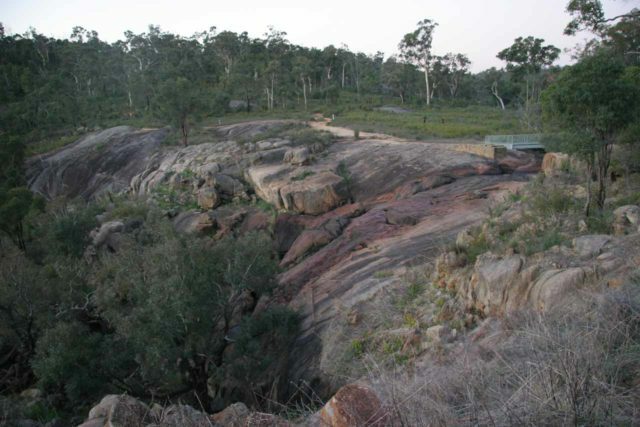 We started the morning with an early drive out to Hyden to visit Wave Rock. 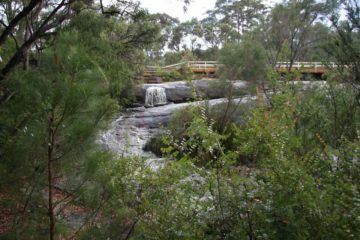 Then we headed west to Perth while making a late afternoon stop for Hovea and National Park Falls. Finally, we arrived in Perth for dinner and a late check in. 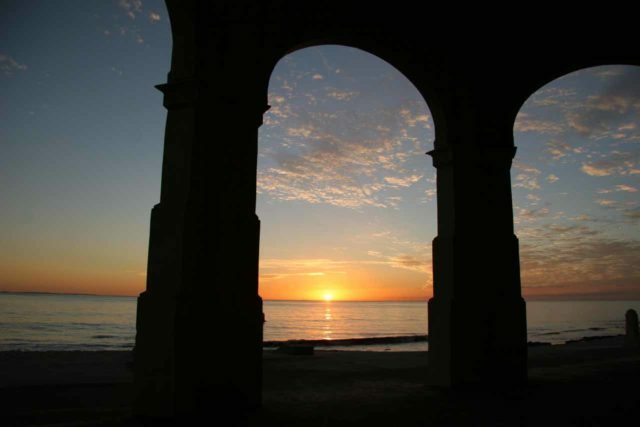 We spent the better part of the day enjoying the Perth CBD, then in the mid-afternoon, we went to Cottesloe Beach to watch the sunset. 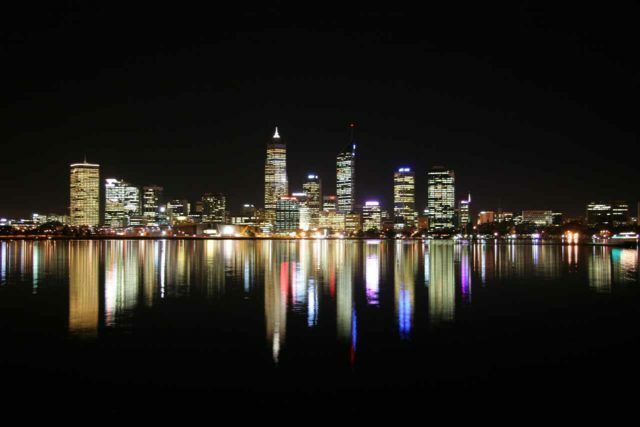 After a brief period of time having dinner then checking out the Perth skyline across the Swan River, we then went to the airport to return the rental car and catch a red-eye flight to Sydney. Once at Sydney, we then flew home.